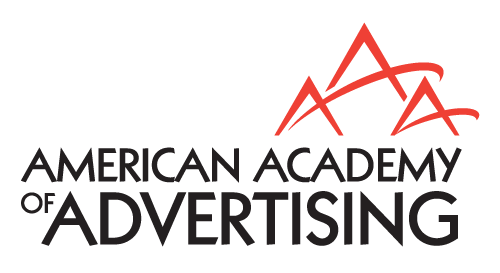 Members of the American Academy of Advertising receive free on-line access to the Journal of Advertising as part of their membership dues. In addition, once dues are paid members receive print copies of future JA issues. The Journal is published quarterly, and is designed to encourage the discovery and development of (a) valid theory and relevant facts regarding the psychological and philosophical aspects of communications, and (b) the relationship between these and other components of the advertising process. Members receive free on-line access to the Journal of Current Issues and Research in Advertising as part of their membership dues. The Journal is published twice a year and is a refereed forum where current issues and research in advertising are vetted. For members desiring a hard copy of this publication, the publisher has arranged for a special membership price - available on the AAA/JCIRA site. Members receive free on-line access to the Journal of Interactive Advertising as part of their membership dues. The Journal is published twice a year and is designed to promote understanding of interactive advertising, marketing, and communication in a networked world. Members of the Academy receive on-line access to the Annual Proceedings of the Academy as part of their membership dues. The Proceedings contain papers presented during the Annual Conference of the Academy, or abstracts of these papers. Members of the Academy receive the AAA Newsletter as part of their membership dues. The Newsletter is designed to keep members up-to-date on activities of the Academy and to share information between members regarding their activities. Members of the Academy are eligible to apply for one of the annual research grants offered by the Academy. A call for research proposals is sent out in the spring semester by the Academy Research Committee, which is responsible for evaluating all proposals and making recommendations to the Executive Committee for grant awards. Academy research grants are available to both junior and senior faculty members. Doctoral students may also apply for research monies through the Academy's Doctoral Dissertation Competition.